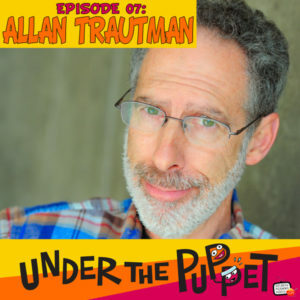 http://www.UnderThePuppet.com – Allan Trautman has had a tremendous puppetry career which includes work with The Muppets, The Jim Henson Company and in feature films such as The Jungle Book. We talk about his start on the show The Letter People, auditioning for projects and making the transition to director of Sid The Science Kid for The Jim Henson Company. Also this episode we talk about the benefits of attending the National Puppetry Conference and the National Puppetry Festival.